We HIGHLY recommend that you contact us for availability before you spend a lot of time browsing the photos. ​ Once you determine which units are available, you will definitely find the one that is perfect for your stay! These drawings are not to scale. 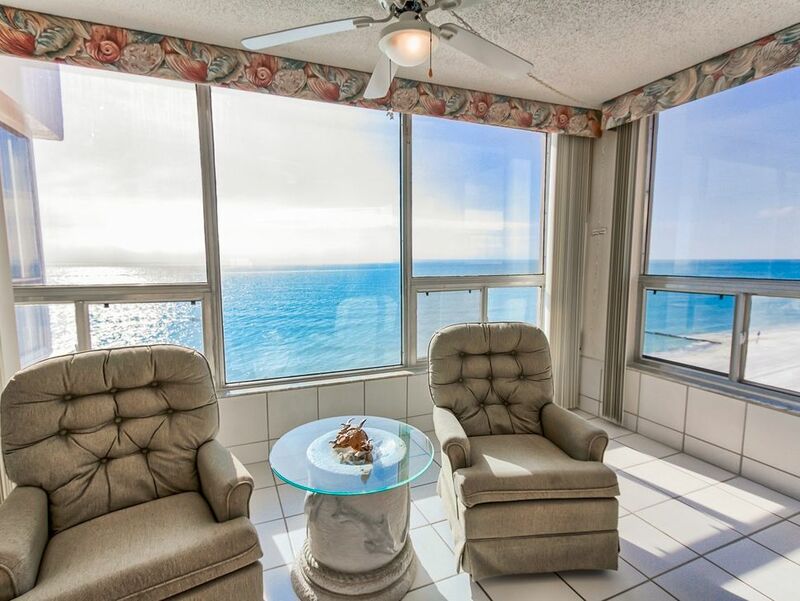 All of our condos are 1200-1400 square feet. 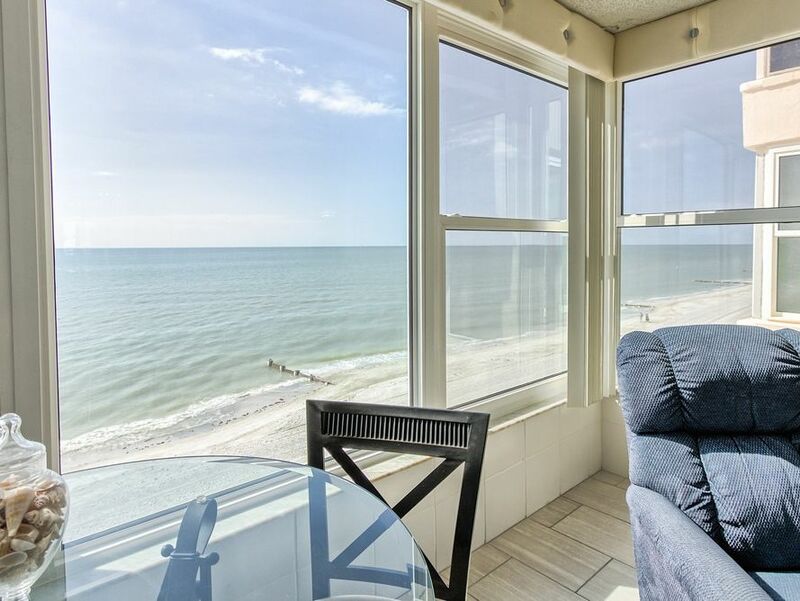 Plan "A", the end/corner units, have extra windows and a separate laundry room and both bedrooms are on the end of the unit, not facing the Gulf. 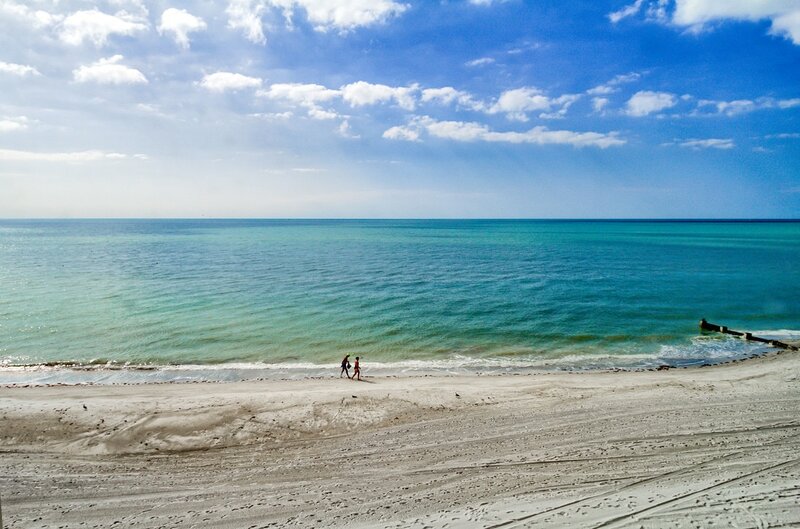 Plan "B" is a split bedroom plan with the master bedroom directly facing the Gulf. Some guests strongly prefer one plan to another, others do not. 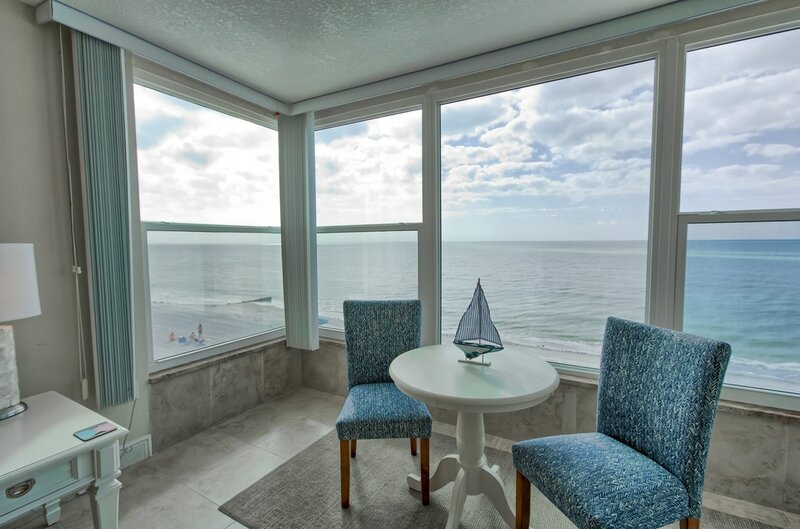 Take a look at our condos & enjoy the beautiful views! 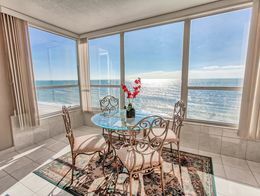 Great views from every floor! Look how close we are to the water! 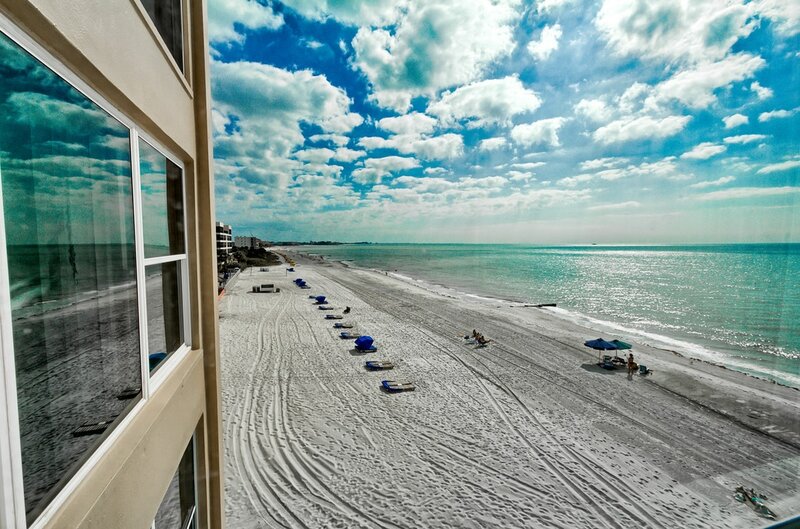 Our beautiful beach, right from your window! 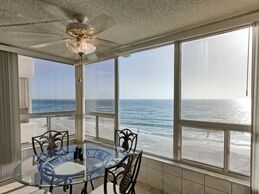 All of our 2 bedroom / 2 bath condos are pictured below. Each condo has a full kitchen, washer/dryer and free secure WiFi. Most units sleep up to 6, with 6 being the maximum, no exceptions regardless of age. Some condos only sleep 4 or 5, so please verify when booking.